Whoever said "green isn't a color" when it comes to gardens obviously never planted hostas! As you can see from the picture at right, hostas can be used to create a beautiful tapestry of color, texture, and form. Shade gardens don't have to be boring! All it takes is a basic understanding of design elements to know how to make them work for you in your own garden. 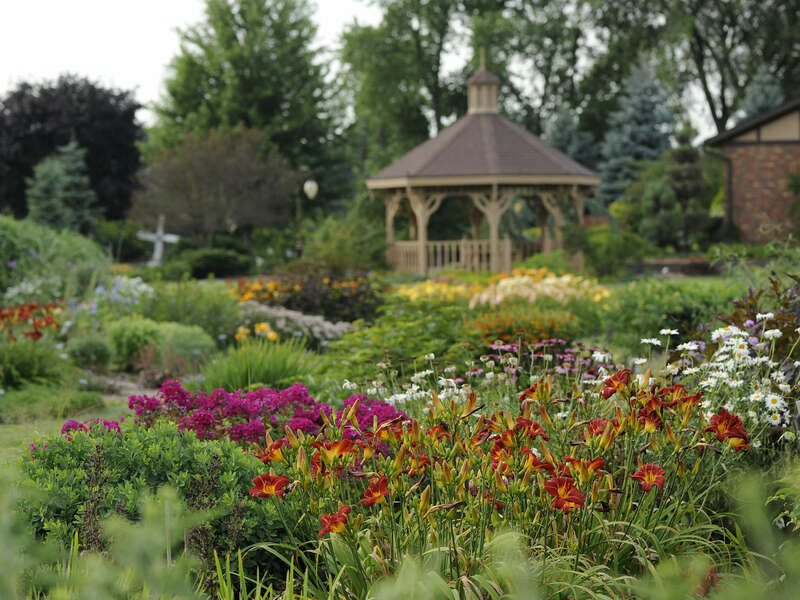 Read all about Garden Design Elements. If you're new to gardening in the shade, you might be tempted to just fill in the space with ivy or some other groundcover and call it done. But if you do that, you'll be missing out on the incredible potential your garden has to offer! After you do a little research, you'll discover that there are loads of perennials that will grow and even thrive in your shade garden. Once you start planting in your shade garden, you'll find that the space is quickly filled and you just might regret all of that ivy you planted and now have to work hard to remove! Next time you go for a walk in the woods, take a moment to observe the beautiful mixture of colors, textures, and forms you see there. You might notice the lacy fronds of a fern mingling with the broad leaves of trilliums, or you might be struck by the colorful fall foliage combined with the finely textured grasses. Make a note of what you like about Mother Nature's combinations and then apply those principles in your own garden. For example, if you like the way the lacy fern looked with the trillium, try planting a Lady Fern with Hosta 'Dream Weaver' in your shade garden. Need some suggestions on what to plant with your Designer Hostas? We've taken the guesswork out of it for you! 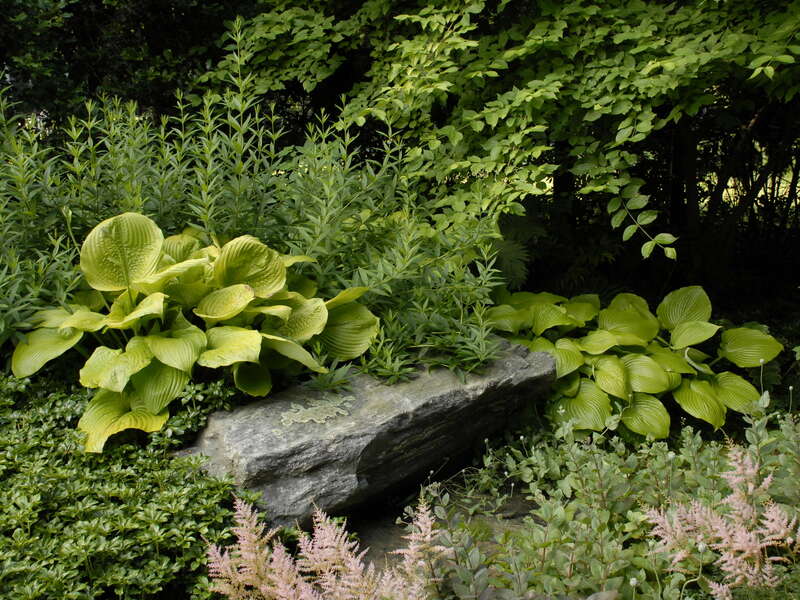 Below, you'll find a list of plants that combine superbly with hostas in the landscape. If you'd like more specific suggestions, look up your favorite Designer Hostas in the Perennial Encyclopedia to see its recommended companions. Hostas are very low maintenance perennials that require little action on your part to thrive. Since you have prepared your soil well when you first planted them, you've already done most of the work. As you decide how to arrange plants in a new garden or add plants to an existing garden consider the design factors described in this section.